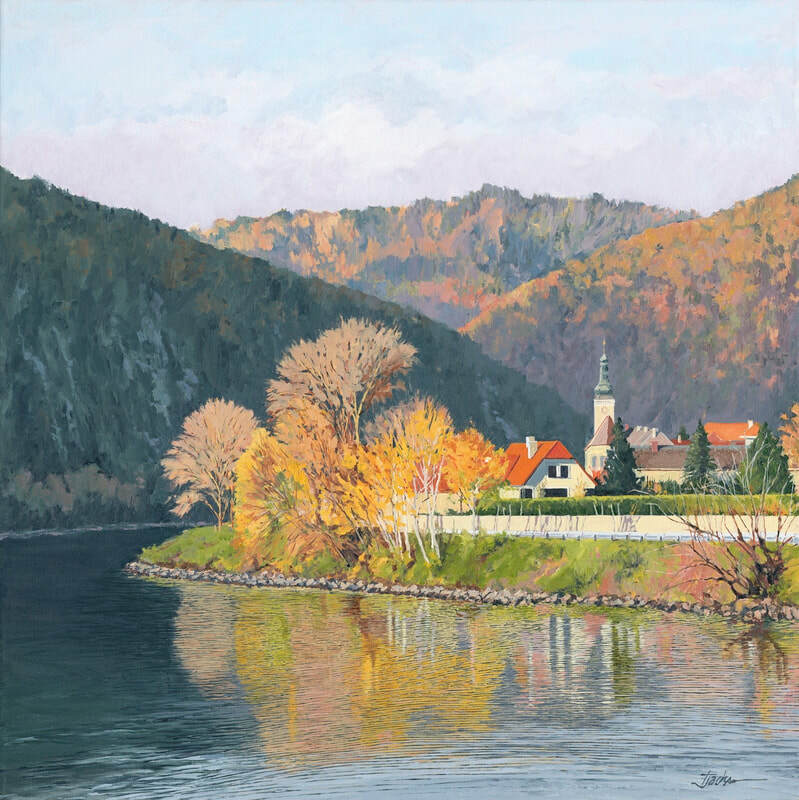 Wachau Valley 36” x 36"
Tom Jackson grew up in Cuyahoga Falls, Ohio and attended the University of Akron, where he received a Bachelor of Fine Arts Degree in Drawing and Painting in 1972. His current full-time work as an artist was preceded by a forty-year aviation career. He served twenty two years as a USAF pilot and eighteen years flying international freight, as a Boeing 747 Captain. 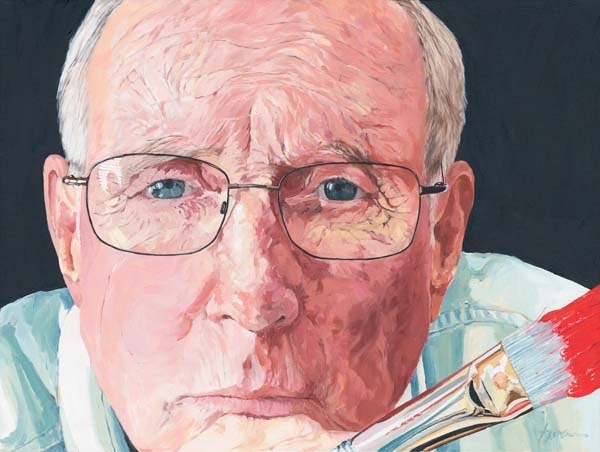 Tom lives and paints primarily in the Western Reserve region of Ohio. His work was juried into the Butler Institute of American Art, National Midyear Exhibition in 2016 and 2018. Additionally, he was awarded First Place in the 2015 and 2016 Akron Society of Artists Juried Member Exhibit and First Place in the 2018 Akron Kaleidoscope juried exhibition. Tom is a member of the Akron Society of Artists and the Cuyahoga Valley Art Center. Although primarily an oil painter, Tom also participates in studio workshops drawing the human figure. Welcome to my studio. Come on in...watch out for the wet paint!